LEXINGTON, Va. – May 23, 2018 – PRLog — Up to Par Management announces the hiring of Andrew Elaimy as the new Head Golf Professional at the Lexington Golf and Country Club. Elaimy was chosen after an extensive search which included interviews with many highly qualified club pros from around the country. “We are pleased to welcome Andrew to the Up to Par family and the Lexington Golf and Country Club,” said Sean Taylor, founder and CEO. “We know he will be instrumental in growing our teaching program, helping new members and guests get acclimated with golf, and helping direct shop operations and tournaments,” he continued. Elaimy’s most recent experience includes Assistant Golf Professional at TPC Boston, Communications Assistant at UAB Athletics, Player Management at the Chambers Golf Course, Media Relations at University of Idaho Athletic Department, and Golf Instructor at Washington State University. As part of his experience, Elaimy brings proven success in managing online communications and leveraging social media tools to grow the game of golf and club awareness. Additionally, he is proficient in all the latest golf technology. A graduate of the University of Idaho, Elaimy earned a B.S. in Business Marketing with a PGA Golf Management Option. For more than 100 years, generations of families have enjoyed the Lexington Golf & Country Club, nestled in the Blue Ridge Mountains of central Virginia. Lexington features an 18-hole golf course known as the Jewel of the Valley, four tennis courts, a short game facility, a junior Olympic swimming pool, a restaurant and a banquet venue. More information about the club, including tee time reservations, can be found at http://www.lexingtongolfandcountryclub.com.  Up To Par Management, LLC is a leading club and hospitality management company specializing in golf, country club and hospitality operations. Currently, Up to Par Management oversees operations for golf clubs, resort golf courses, and hotels with restaurants. Up to Par has partnered with Associa to offer ONE Source – a management solution for residential communities with club and golf facilities. Up To Par is a growth-oriented company providing opportunities for its partner properties and associates.